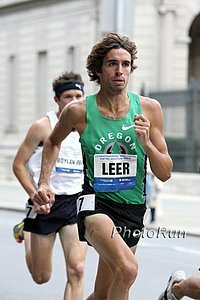 – Alberto Salazar telling LetsRun.com (and making our day) that the #1 goal indoors for Galen Rupp, who looked sensational in opening in an American record of 13:01.26 on Thursday night, is to take on the world at World Indoors. Why did AlSal put so much pressure on his athletes to go for records? 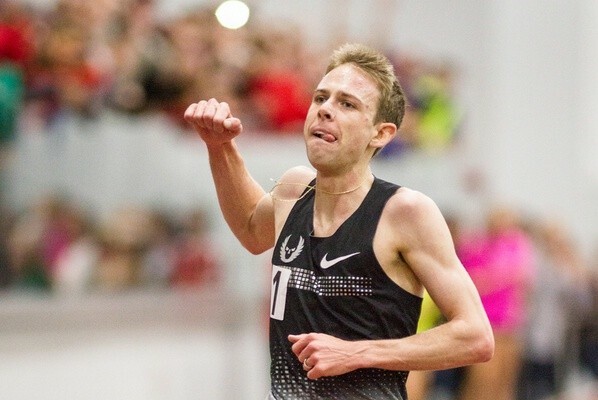 LRC 5 Thoughts After Galen Rupp’s American 5,000 Record And Mary Cain’s World Junior Indoor 1,000 Record Team USA Fans, we’ve got great news. Alberto Salazar said Rupp’s #1 goal for indoors isn’t these records but taking on the World in Poland. LRC Galen Rupp Breaks American Indoor 5,000 Record – Runs 13:01.26 In Boston Lopez Lomong‘s American record didn’t even last 365 days. 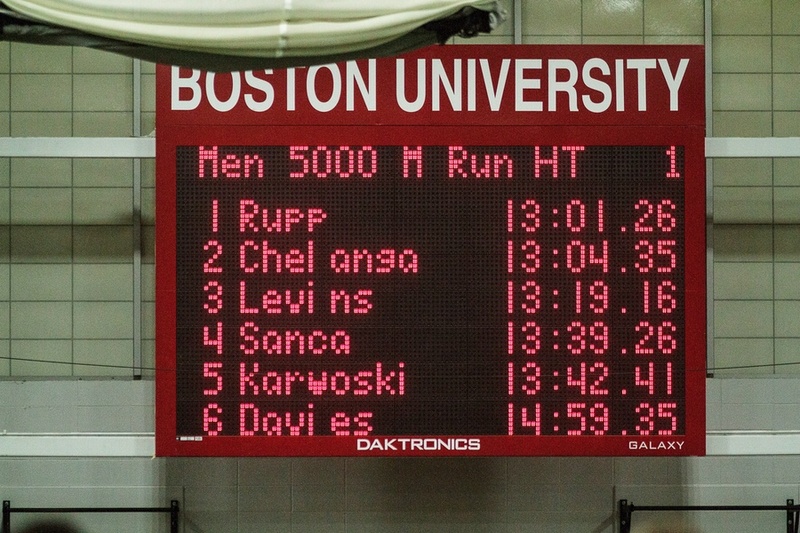 Rupp took the lead with 1,600 to go and shattered Lomong’s mark as his old college rival Sam Chelanga ran 13:04.35 and Cam Levins got the Canadian record of 13:19.16. 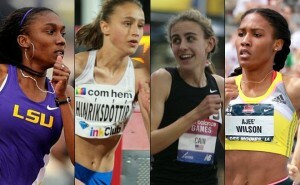 Mary Cain and Treniere Moser were nowhere near Jen Toomey‘s American record but Cain did get a new world junior mark. *My wife is going to have a baby within 2 hours, should we name it Galen? Russia’s Olympic High Jump Champ Ivan Ukhov Jumps The Best Indoor Performance In The World For 21 Years With 2.41m Mariya Kuchina set a PR and World lead for women going over 2.00m. Jamaican Toxicology Expert Testifies That The Banned Stimulant Oxilofrine Doesn’t Improve Speed Then why is it banned? Video Of Asafa Powell’s Mom At Doping Trial: “God will take care of everything.” The trial will resume on February 12th. Sally Pearson Will Defend Her 60m Hurdles World Indoor Title In Poland She says she hopes to see the US’s Brianna Rollins there. 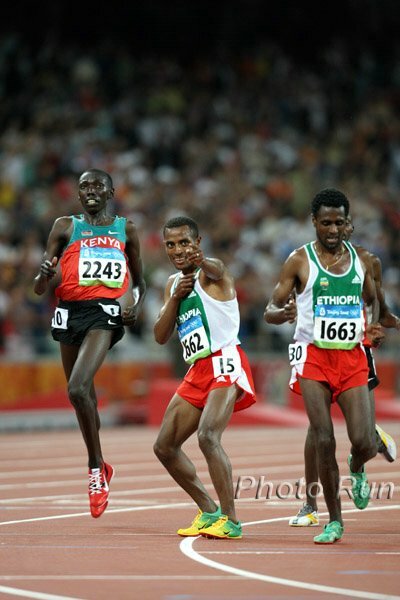 London 2014 Preview: Martin Mathathi And Amanuel Mesel Headline Feb. 1st’s Marugame Half Marathon 2:04:48 man Tsegay Adhane, who isn’t on tap for London 2014, is also in the field. Strength Training Burns Twice As Many Calories As Previously Thought Pushups, lunges, and pull-ups qualify now qualify as “vigorous activity” which you need 60 minutes of each week, not moderate (150 minutes a week). Pushups burn 8.56 calories per minute. Uganda Sending 88 For Commonwealth Games Last time, they sent 91 and won two medals – both gold – when Moses Kipsiro stunned the Kenyans in the 10,000 and 5,000. 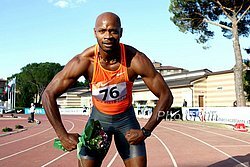 Asafa Powell Says He Only Listed 3 Of 9 Supplements He Was Taking On His Doping Control Form Because He Couldn’t Remember The Rest Of Them Yet he says he and his agent spent hours researching them on the internet to make sure they were legal. Powell Contradicts Testimony Given By MVP Coach Stephen Francis That There Was A Club Rule About Disclosing Supplements Despite testimony by Francis saying otherwise, Powell says Francis was happy to see him working with Canadian trainer Chris Xuereb. Both Powell and Sherone Simpson have left the MVP club. Nesta Carter Talks To The IAAF About Wanting To Improve On His 60m Silver From The 2012 World Indoor Champs He talks about the difficulties of racing indoors when there are no indoor tracks to practice on in Jamaica. Usain Bolt And Shelly-Ann Fraser-Pryce Announced For This Summer’s Ostrava Golden Spike Meet Fraser-Pryce will race the 200 and Bolt is undecided on what he will run in his 7th appearance at the meet. Obituary For Former UK Steeplechase Record Holder And 1972 Olympian Andy Holden Holden ran 8:26 for the steeple in 1972. 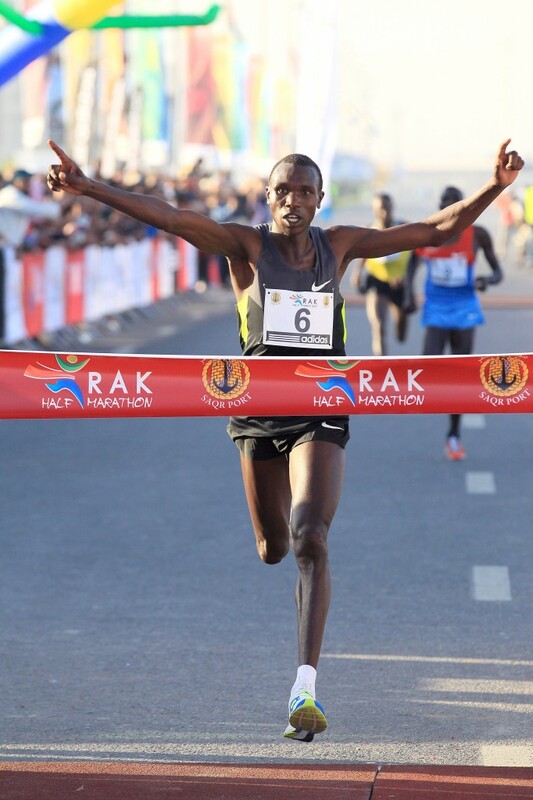 Kagawa Marugame International Half Marathon Announces Elite Field For Race The field is led by Martin Mathathi, 60:10 man Amanuel Mesel (Eritrea), Aussi Collis Birmingham and Japanese Olympian Arata Fujiwara. Police Searching For Missing New Jersey Marathoner David Bird went for a walk Saturday afternoon and hasn’t been seen since. 10 Track And Field Athletes Who Excelled After Childbirth Inspiration for Christin Wurth-Thomas, Stephanie Rothstein-Bruce and Jessica Ennis. New Zealand Is Getting Ready To Enjoy Decade-Plus-Long Rivalry Between Shot Phenoms Tom Walsh And Jacko Gill Up until now, the 19-year-old Gil has gotten all of the publicity, but the 21-year-old Walsh is the national record holder despite the fact he works 3 days a week as a builder. IAAF Weekend XC Round-Up: World XC Silver Medalist Hiwot Ayalew Wins Elgoibar XC Race Linet Masai and World 5,000 silver medallist Mercy Cherono were third and fourth. Ugandan Timothy Toroitich won the men’s race over Kenyan studs Conseslus Kipruto and Emmanuel Bett. Unknown Runner Hideyuki Ikegami PRs By More Than Two-And-A-Half Minutes To Beat Yuki Kawauchi And Get CR At Tanigawa Mari Half Marathon Ikegami ran 1:03:09 to Kawauchi’s 1:04:17. 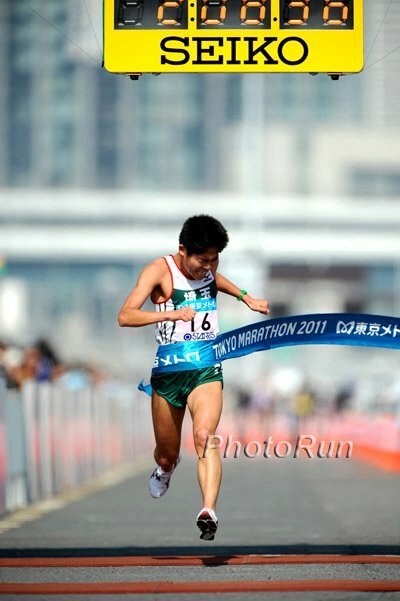 Kawauchi’s two brothers also ran, one finishing 13th (1:09:18) and the other 26th (1:11:53). Jorge Maravilla Sets CR To Win US 100K Trail Championships In Texas Maravilla ran 8:02:27 (7:45 pace) to win. 52-year-old Meghan Arbogast took both the women’s open and women’s masters titles in 10:12:57 (9:51 pace). Mo Farah Claims U.S. Residency To Avoid UK Taxes The headline says it could save him millions in taxes. Video Of Fernando Cabada Doing A 10-Mile Tempo In Preparation For This Weekend’s US Half Marathon Championships In Houston Cabada says he’s in great shape and has had the best training/racing of his life and is shooting for the win (or at least top 5) in Houston. UK Writer Criticizes Media For Analyzing Jessica Ennis’ Pregnancy From An Athletic Perspective What does she want from them? Her pregnancy wouldn’t be newsworthy if she wasn’t an athlete, so of course people are going to ask questions with athletics in mind. Kenenisa Bekele: “I want to run a world record in my first marathon.” AFP quotes Bekele saying he wants to run the marathon WR in Paris, but he hasn’t talked about this in any other interview. Not Done On The Track: Bekele Says Running The Marathon Doesn’t Mean He’s Done On The Track And He Still Wants To Try To Break His 10,000 WR He didn’t care about getting outkicked by Garrett Heath at Great Edinburgh XC as he’s running 150 miles a week and no speed work. Nick Symmonds Going For The American 1,000m Record At The NYRR Millrose Games Symmonds thinks the 1,000 is a much better distance for him than the 800. The current record is held by David Krummenacker from 2002 at 2:17.86. *Symmonds Talks About Fishing In Oregon And Compares 800 Runners To Different Types Of Fish Symmonds says David Rudisha is the great white shark. Kenyan Steeplechase World Champ Milcah Chemos Isn’t Interested In Defending Her Commonwealth Games Title And Instead Is Focused On Breaking Her 9:07 PR Talking about winning Worlds, she says it was even more satisfying to do it in Moscow since Russians had beaten her so many times in the past. 26.4.26 Running Charity Under Investigation For Fraud By The IRS There are accusations that only $30,000 of the $103,000 the foundation raised can be accounted for. Saucony And Runner’s World Present “Finding Strong” Screening At The Collective During Sundance Film Festival The film which “depicts the transformative power of running” and premiered at the NYC Marathon. LRC Three Thoughts About The Nike Oregon Project’s American Record Assaults In Boston In 2014 Will Jen Toomey‘s 2:34 women’s 1k AR go down? No chance. What about Lopez Lomong‘s 13:07 men’s 5k? Discount Rupp at your own peril. 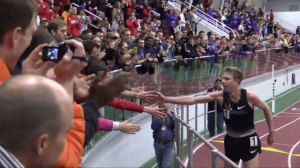 Plus did you know that Galen Rupp‘s attempt at the mile record on Feb. 8th won’t happen live on national TV at Reggie but instead will happen the same day at a college meet? What about the Sport? Athletics: Powell’s Therapist Wasn’t Certified Agent Paul Doyle admits not that Xuereb wasn’t a certified therapist but that didn’t know one way or the other when he hired him to work full-time in 2013. WC 200 Silver Medallist Warren Weir Plans To Test His Speed Over 100m In Non-Championship 2014 He has a 10.02 PR. Beijing Olympic 100 Finalist Jeanette Kwakye (GBR) Hangs Up Her Spikes The 30-year-old, who has been hampered by an Achilles problem in recent years, said one of the highlights of her career was being the U-15 schoolgirls champ in the UK. 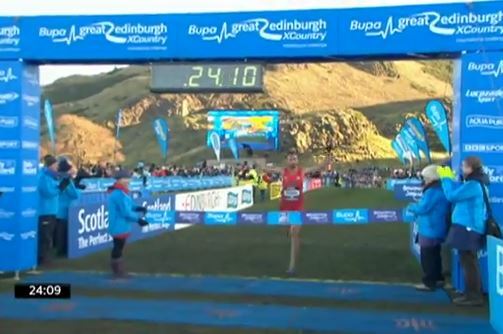 WTWMary Cain Loses, Excitement For Desi And Ritz In Boston (And Bekele In Paris), Garrett Heath's Scalps And The Underpaid UK Athletics CEO? This week, we don't panic about Mary Cain's loss in her pro debut, we get excited for Ritz and Desi to run Boston, praise Garrett Heath for taking the ultimate two scalps, and we note an ignominious anniversary for Ryan Hall. Plus talk of Geoffrey Kipsang, John Trautmann, Mark Coogan, Kenenisa Bekele, Chris Derrick and more. Runners World Looks At The Fight For A Spot On The Olympic Bobsled Team Between Sprinters Lolo Jones And Lauryn Williams The team decision will be announced on January 19th. Original Nike Prototype Shoe Sold For $1,500 The shoe was dug up a few years ago in Bill Bowerman‘s backyard and recently sold to an Oregon shoe collector. MB: 2013 NCAA 10,000 Runner-Up Paul Katam Of Kenya Drops Out Of UNGC And Joins US Army He’ll still be trying to get his undergrad and masters degrees but won’t be running collegiately any more. Svetlana Karamasheva (Podosyonova) Runs World-Leading 2:39 For 1k In Russia The 2013 IAAF World Championships 1,500m semifinalist, who has an outdoor best of 3:59.61, ram 5:55 for 2,000 earlier this month. The meet also included a world-leading 6.98 in the long jump by Svetlana Biryukova (Denyaeva). Former NCAA Steeple Champ For Butler, Victoria Mitchell, Offers Permanent Tattoo On Ankle To Sponsors For $10,000 She wants to go to a 2nd Olympics but needs $30,000 over three years. Should we go for LRC or the whole logo if we pony up? World Steeple Champ Milcah Chemos Won’t Go For Commonwealths Title – Will Do African Champs Instead Why she would want to do the African champs versus be on TV throughout the Commonwealth is a mystery to us, but then again we know little about how the $$$ work. 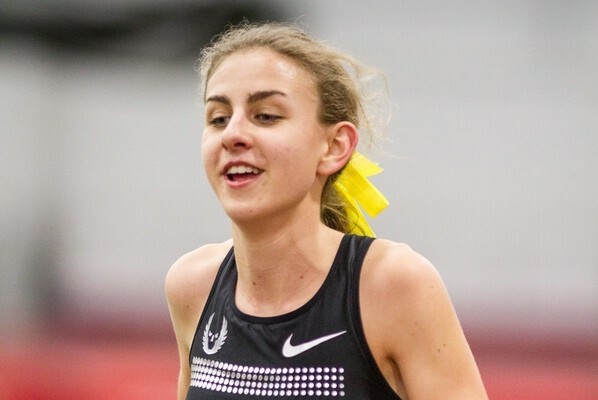 Jenny Simpson Believes HSers And Random Fans Like Accountants Should Race Pros So People Will Realize How Talented Pros Are Queen Harrison thinks track would be popular if it had its own TV channel. Our response – It’s called Universal Sports. Q&A With Northern Arizona Elite Coach Ben Rosario Greg McMillan has moved on and Rosario is now coaching in Flagstaff. Arkansas Men & Women Win Season Opener At Home Patrick Rono won the 600 (1:19.92), Kemoy Campbell (1:52.01) the 800 and Stanley Kebenei the 1,000 (2:26.47). University Of Florida Opens Indoor At Birmingham Invite With 13 Event Victories NCAA 1,500 runner-up Cory McGee won the 800 in a meet record of 2:07.47. 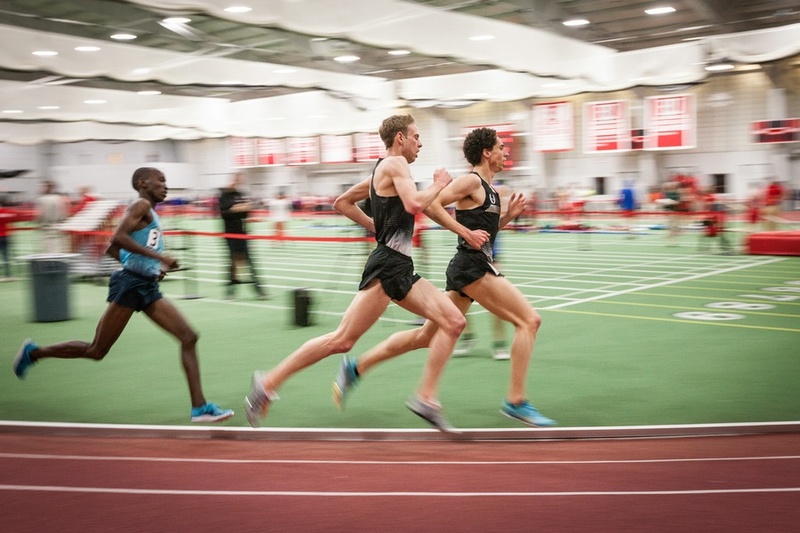 Current Pros Give Advice To College Runners On What They Would Do Differently If They Could Redo Their NCAA Careers Hear what Jordan Hasay, Emma Coburn, Cam Levins, Andy Bayer and others say their biggest mistake in college was. Today: World 10,000 Silver Medalist Gladys Cherono And Leonard Oletiptip Defend Their Titles At Kenya Defence Forces XC Champs Former Olympic 1,500m champion Nancy Chebet is in the women’s field and former World Military Games 10,000m champion Mark Kiptoo and former World XC champ Joseph Ebuya are in the men’s. Course Record Holder Atsedu Tsegay Returns To The Prague Half Marathon On April 5th Tsegay ran 58:47 there in 2012 and this year will face Kenya’s sub-60 man Philemon Limo. The women’s field is led by Ethiopia’s 2011 NYC champ Firehiwot Dado. RR: The Hunger Of Scott Wietecha: 32-Year-Old Teacher, Father Of Two Is Dreaming Of 2:13 In Houston This Weekend This is an EXCELLENT and inspiring read by Jon Gugala. Q&A With Aussie Stephen Dinneen, Who Is Making Marathon Debut Sunday In Houston Hoping To Run 2:14-6 He’s got a 29:08 10,000 PR. Twin Power: Identical Twin Gives Up Spot On Olympic Team So Other Twin Can Go Alan Abrahamson tells you abut this great Winter Olympics story. 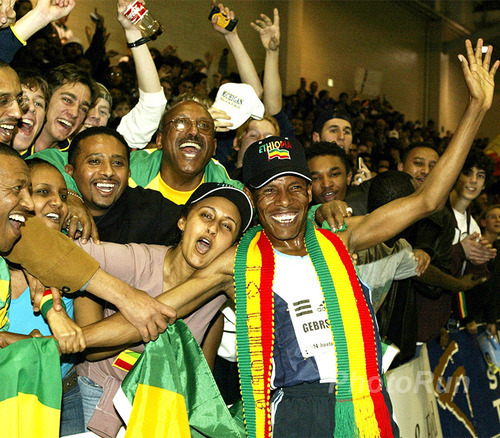 Feb. 8th: Interview With Keith McDermott: Director Of Reggie Lewis Center – The Home Of NB Indoor GP – The Reggie: It’s Far More Than Just A Track From Haile G to Obama, The Reggie has hosted lots of royalty over the years. More Boston News: Celtics Assistant Coach Jamie Young To Run This Year’s Boston Marathon In Middle Of Season It will be his first. Brazil: Stunning: Laureus World Sports Awards – The “Oscars of Sport” – Planned For Rio In March Are Cancelled Those that think Brazil isn’t ready for WC 2014 and Olympics in 2016 just got a big boost by this development. LRC 6 Thoughts On The 2014 Virgin Money London Marathon Elite Men’s Field – A Win By Mo Farah On April 14th Would Be The Greatest Achievement Of His Career Fantasy marathoning will once again be taking place in the real world in London yet again this year as the field is loaded. We break it down and tell you why if Farah wins it will be the best accomplishment of his career. But we also tell you how last year’s field was deeper and who isn’t running London. *RRW: 2014 London Elite Men’s Field Announced – Mo Farah To Face Stacked Men’s Field The field includes six sub-2:05 guys, including world record holder Wilson Kipsang and 2:03:02 man Geoffrey Mutai. *MB: Ibrahim Jeilan Running London! +1 For This Guy: Kenyan 1,500 Man Silas Kiplagat Says The IAAF Should Move Drug Bans From 4 Years To Life Kiplagat blames his disappointing 6th place finish at Worlds on “overconfidence” and is looking forward to defending his titles at the World Indoor Championships and Commonwealth Games in 2014. Athletics Kenya Seeking A Coach To Help Their Team Prepare For The 2014 World Relays AK president Isaiah Kiplagat says they have already contacted the UK, the US, China and Japan for help. Seems like they missed one in Jamaica. Kenyan “YoutTube Man” Julius Yego Hoping To Keep Making Waves In The Javelin At The Commonwealth Games Other Kenyan throwers have also been improving under Yego’s tutelage and Yego said he’d be happy to see someone come up to challenge him. Toni Reavis: 2016 US Olympic Marathon Trials Will Be In Houston Or LA. Volunteers Want Houston, USATF Business Interests Want LA. Who Wins Out? LA in March really hurts elites’ chances of trying to come back for the 10,000 team. Road Race Management On Trials: Can USATF CEO Unilaterally Pick Trials? 2012 US HS Athlete Of Year And 10.19 Prep Abraham Hall Enrolls At UCLA And Joins Track Team Originally he was going to Army, but after a year at Army Prep, he’s now at UCLA. Alan Abrahamson Laughs At Hypocrisy Of US Govt. For Issuing Travel Alerts About Sochi In the travel alert, Americans are warned that Russians can read your emails and listen to your phone calls. Sound familiar? No, It Isn’t April 1st: Convicted Oregon Pimp Sues Nike Over Lack Of Shoe Warning Label Apparently he stomped some guy’s face in, was sentenced to prison and is suing Nike for $100 million as they didn’t have a warning label saying the shoes could be used as a deadly weapon. You can’t make this stuff up.